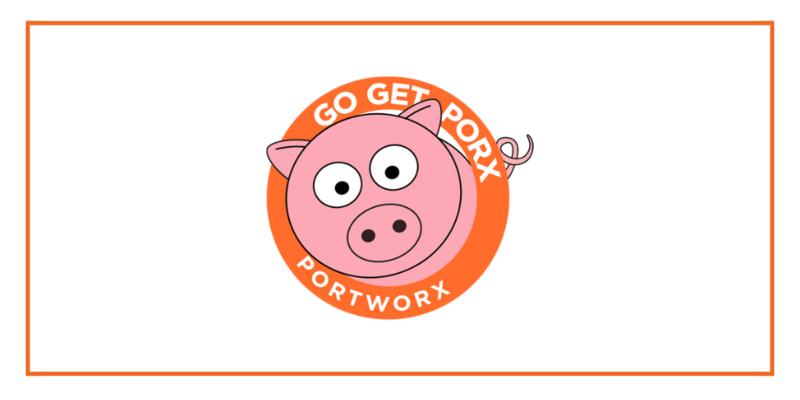 Go Get Portworx Version 1.2! As we continue to pursue our mission in delivering elastic data service layers for stateful and stateless containerized workloads, we are excited to announce the general availability of Version 1.2 of Portworx PX-Enterprise and PX-Developer on Docker Hub. With this significant update, we continue to address customers pain points by seamlessly managing, securing, and protecting their container data during the entire application data lifecycle. How do I ensure I can recover my data in case of a site or a cloud failure? How do I protect my data and prevent breaches when I am running in the cloud or on-prem? How do I scale my cloud infrastructure based on my needs without extensive reconfigurations or cloud ninja work? It is very evident that the customers moving to containers want to focus on building and scaling their apps instead of tinkering with their infrastructure. As container adoption increases and more enterprises move their workloads to containers, they’re looking for a simple, elastic, self-managed and automated infrastructure as they scale to thousands of nodes serving a large internal and external user base. As we spent more time listening to our customers, it became clear that they were struggling to address backup and recovery with tools that are not natively container- or multi-cloud aware. As a result, many customers are forced to stitch together disparate solutions that don’t play well with each other. At Portworx, we made it our mission to enable a single-click container data infrastructure by eliminating such pain points by delivering a unified architecture that natively integrates container-granular backup to cloud and container-granular recovery from cloud. As part of this effort, we have introduced Cloud Snap™ in PX-Enterprise 1.2. Cloud Snap is Portworx’s answer to one of the biggest pain points in deploying and managing mission-critical containerized applications: maintaining business continuity. Cloud Snap enables users to take a full or a differential copy of a Portworx container volume and automatically upload it to their cloud provider of choice. At the outset, PX 1.2 supports the AWS S3, Azure Blob Storage, and Google Cloud Storage. PX-Enterprise 1.2 also works with any S3-compatible object storage provider. Imagine a scale-out cluster running hundreds of nodes, thousands of containers, and petabytes of data protected by PX-Enterprise. With Cloud Snap, each container volume can be automatically backed up to the cloud of customer’s choice and the data can be restored at the push of a button without any third-party intervention. Portworx securely encrypts the data with military-grade AES-256 encryption before shipping the data to the cloud, ensuring that the application data is always fully secure. All this, with absolutely zero downtime to the application. A typical Portworx cluster provides data services for applications like MySQL, Cassandra, MongoDB, Jenkins, Registry, ELK, Solr, Hadoop, Spark, and more running in containers. Cloud Snap enables users to periodically back up their data for these applications, and these volumes can be restored in the same or separate Portworx cluster for data recovery, data migration, and application testing. Learn more here on how to configure and manage cloud backups on Portworx. Now, let’s get to the second question about how customers can secure their data anywhere without cloud vendor lock-in. Portworx 1.2 supports Bring-Your-Own-Key (BYOK) encryption for Container Data Volumes. Many enterprises run their applications on public cloud or at a hosting provider, or share the data center space with other groups. Application and data multi-tenancy is a critical requirement for cloud-native applications and with our military-grade encryption, we have now enabled these customers to deploy their containerized applications with complete peace of mind on any cloud or any datacenter of their choice. Portworx volumes support AES-256 encryption both at-rest and in-flight so all the data stored on the media as well as the data sent on the wire for replication are always encrypted. Portworx also natively and securely manages the cloud credentials and integrates with Hashicorp Vault, AWS KMS, and Docker Secrets to securely store and retrieve the keys so there is no risk of a key leak because of misplaced keys on a server instance or a cluster that hosts multiple tenants. Follow this link to setup Encrypted volumes in your Portworx cluster. This brings us to the next important question: How enterprises can scale their apps in environments like AWS auto-scaling without being held back by the manual configuration requirements for critical resources like EBS volumes? This is one of the biggest pain points of devops organizations running on AWS Auto-Scaling Group (ASG). After listening to our customers, we concluded that this problem is best solved by automating EBS management and added AWS management natively into our control plane. With this, Portworx automates creating and attaching EBS volumes to EC2 instances in a ASG cluster. This achieves “soft-disaggregation” of the storage from the ASG nodes letting ASG scale the compute instances and PX manages automated, elastic scaling of the storage with zero user intervention. This doc page walks-through how customers can do stateful auto-scaling in ASG. With PX-Enterprise 1.2, we are also very happy to announce our integration with Prometheus for metrics and alerting. 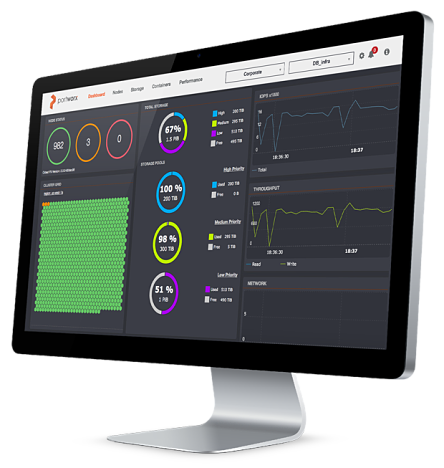 Prometheus is a popular tool for monitoring of cloud-native infrastructure and by integrating with Prometheus, Portworx’s customers running PX-Enterprise in large scale cloud-native infrastructure benefit from a single pane of glass monitoring of their compute, network and storage. And finally, PX-Enterprise 1.2 is delivered as a Docker V2 Plugin on Docker Hub as well as a Docker Container. Docker Plugins improve the reliability of infrastructure services that are delivered via containers. Since a Docker Plug-in can be started and stopped outside the Docker Daemon, the plugin can run un-interrupted even if the Docker Daemon is restarted or crashes. This enables much higher availability and reliability for containerized applications leveraging the infrastructure services delivered as a container. Portworx PX-Enterprise is delivered also a Docker V2 Plugin and customers deploying the plugin enjoy the benefits of Portworx while realizing the advantages of deploying as a plugin. If you are at DockerCon next week in Austin, please visit by our booth to learn more. Or feel free to contact us or join us on slack and post a question any time. We are here to make developing, deploying and managing your apps easy!